4.5 stars. The book was well written. We were in Ren's head and his insecurities of being truly loved. He let his doubts about Cade lead him to a horrible mistake that he clearly regretted but had to learn the ramifications of. I hadn't read the spoilers for this book so was pretty devastating when the cheating happened. I was pretty upset with Ren that he could be so easily swayed back to Tex and give little thought to Cade, but, it was also clear, that he was pretty messed up about Cade emotionally. 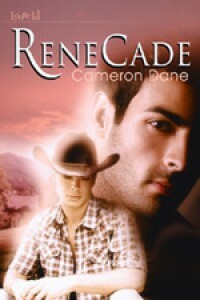 Cade had his part in his lack of willingness to share his emotions with Ren and his reasons for his lack of contact, so Ren could understand what he was feeling. However, ultimately, Ren was the one who chose that level of betrayal and had to learn how deeply the hurt was he had caused and had to fight to earn back the trust. This was a tough book as I am not someone who enjoys reading about cheating. However, it was so well written and a good story in seeing how a couple could grow, mature and work their way back to each other when the love was there and when they were more secure in themselves and their relationship.